Paul’s passion for those in the body of Christ is evident in the opening phrase of Romans 12 where he beseeches or urges us to present our bodies as living sacrifices. 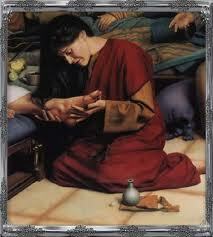 If we are to do this presentation of our bodies (our lives) to God, it will have to be by the mercies of God. That is to say that God will be and is the power behind and the heart behind our desiring to dedicate our bodies (lives) to pleasing God. He calls us to present our bodies–a voluntary action, a volitional choice–I (we) must make to be set apart for (holy) and pleasing to God. The sacrifice I am to make is my body–and that is really all that I have to give to God. Under the law, it is understood that in order to cover sin, to be holy and acceptable to God, a death must occur–more specifically, blood must be shed. Leviticus 11:17 instructs us blood makes atonement for the soul. The sacrifice that I must present under the new covenant, established by Jesus and stamped with His authority as God by His resurrection, is to die to my flesh, to my own desires. This death to self will allow the Spirit of God to reign in my body. My life will then evidence the fruit of the Spirit described in Galatians 5:22-23, namely love, joy, peace, long-suffering, kindness, goodness, faithfulness, gentleness, [and] self-control. Paul finishes by saying this is my reasonable service. I am a bond servant of God, and in light of what He has done for me, it a small thing for me to give my life–my sacrifice–to Him. As Paul said in Romans 6:19, [f]or just as you presented your members as slaves of uncleanness, and of lawlessness leading to more lawlessness, so now present your members as slaves of righteousness for holiness. We will be a slave to something. Paul makes it clear who we are to serve and what is required–nothing less than everything. Romans 12: How shall I present my body? 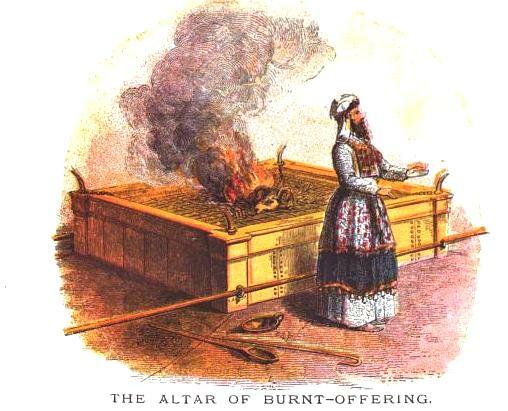 ▸ I must put myself on the altar knowing that I am submitting to the fire’s refinement. The answer is found, in part, in 2 Corinthians 5:21. “For He made Him who knew no sin to be sin for us, that we might become the righteousness of God in Him.” We are able to become righteous . . . an acceptable sacrifice by the shed blood of Jesus, the perfect sacrifice, slain once for all. I find more insight in Galatians 2:20 which reminds me that “I have been crucified with Christ; it is no longer I who live, but Christ lives in me; and the life which I now live in the flesh I live by faith in the Son of God, who loved me and gave Himself for me. This sacrificial life will be by faith in the One who already proved his love, His sacrifice. Finally, I am told in Colossians 2:6-7, “As you have therefore received Christ Jesus the Lord, so walk in Him, rooted and built up in Him and established in the faith, as you have been taught, abounding in it with thanksgiving. The key to my being a living sacrifice is to walk in Christ, in His Word. To be rooted in and built up in the experiential knowledge of Christ. Then shall I be able to live this sacrificial life. Philippians 3:8 Yet indeed I also count all things loss for the excellence of the knowledge of Christ Jesus my Lord, for whom I have suffered the loss of all things, and count them as rubbish, that I may gain Christ! Romans 12, verses 1 and 2 are familiar and yet shrouded, within my grasp but elusive. Present your bodies . . .
We are not in this alone. In Ephesians 2:8-10, Paul assures us, “for by grace you have been saved through faith, and that not of yourselves; it is the gift of God, not of works, lest anyone should boast. For we are His workmanship, created in Christ Jesus for good works, which God prepared beforehand that we should walk in them. The things God would like me to do are not without meaning or import . . . they are my purpose, my destiny . . . God’s best plan for me. When I feel I cannot obey this command, Jesus is my example. I am told by the writer of Hebrews, to lay “aside every weight, and the sin which so easily ensnares us, and . . . run with endurance the race that is set before us, looking unto Jesus, the author and finisher of our faith, who for the joy that was set before Him endured the cross, despising the shame, and has sat down at the right hand of the throne of God. For consider Him who endured such hostility from sinners against Himself, lest you become weary and discouraged in your souls.